Kick off your visit on the 29th (Mon): admire the masterpieces at Kansallisgalleria. On the 30th (Tue), you'll have a packed day of sightseeing: take in the spiritual surroundings of Rock Church, take an in-depth tour of Seurasaari Island and Open-Air Museum, brush up on your military savvy at Sea Fortress Suomenlinna, then take in nature's colorful creations at Observatory Hill Park, and finally test your team's savvy at popular escape rooms. For photos, traveler tips, reviews, and more tourist information, read our Helsinki trip planning tool . Berlin, Germany to Helsinki is an approximately 5-hour flight. You can also do a combination of flight and ferry; or drive. The time zone changes from Central European Time (CET) to Eastern European Time (EET), which is usually a 1 hour difference. Expect a daytime high around 9°C in April, and nighttime lows around 0°C. Finish your sightseeing early on the 1st (Wed) so you can drive to Porvoo. 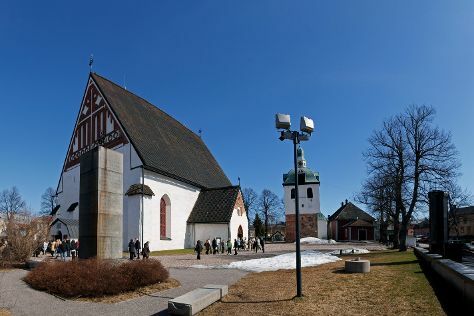 Start off your visit on the 2nd (Thu): contemplate the long history of The Runeberg Home, steep yourself in history at Castle Hill, then admire the landmark architecture of Cathedral of Porvoo, then see the interesting displays at Porvoo Museum/Holm House, and finally stroll through Fredrika Runebergs Park. Planning Porvoo trip won't be overwheling when you use's Insprock itinerary maker. You can drive from Helsinki to Porvoo in an hour. Alternatively, you can take a bus. In May in Porvoo, expect temperatures between 18°C during the day and 6°C at night. Cap off your sightseeing on the 2nd (Thu) early enough to go by car to Turku. You've now added Ispoinen Beach and Sauna to your itinerary. On the 3rd (Fri), enjoy the sand and surf at Ispoinen Beach and Sauna, let the kids burn off some steam at Adventure Park, then tour the pleasant surroundings at Kupittaa Park, and finally tour the pleasant surroundings at The Archipelago Trail. 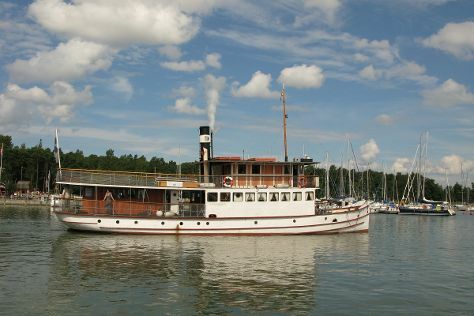 To find other places to visit, reviews, photos, and other tourist information, refer to the Turku attractions website . Traveling by car from Porvoo to Turku takes 2.5 hours. Alternatively, you can do a combination of bus and train; or take a bus. Expect a daytime high around 17°C in May, and nighttime lows around 5°C. Finish your sightseeing early on the 3rd (Fri) so you can travel back home.